FInd out all about Patricial Polacco. Watch this Reading Rockets Video Interview of her. 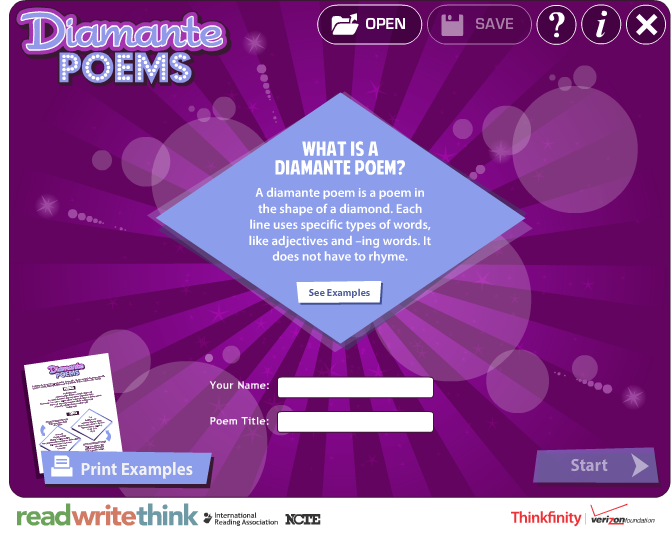 Tell about your family by writing a Diamante Poem. 1. Explore Seymour Simon's Books both online and in our library. 2. Pick a scientific topic of your choice such as an animal or plant, a weather phenomenon, or a space topic. 3. Find a great picture of your topic using this website: pics4learning.com. 4. Research the topic shown in the picture. 5. Copy the picture into a word document and write a paragraph about it based on your research. How did Steve Jenkins become the author and photographer he is today? Research answers to this question by "interviewing" Nic Bishop.